There’s exceptions to every rule. In this case the rule is, don’t spend big money on running backs. It’s a good rule, scratch that it’s a wonderful rule and should be followed closely unless you can make a perfectly logical case for why in a certain, specific situation an exception should be made. 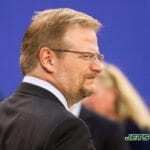 Going into this offseason the New York Jets are currently $93,837,909 under the 2019 salary cap (all salary cap information is courtesy of Overthecap.com) and this free agency class is extremely underwhelming. The Jets need an infusion of talent on both sides of the ball, far more talent than they could realistically buy in free agency so, obviously they will also need to draft better but they also need playmakers anyway that they can get them. Playmakers that can make an actual difference. Of course they need to give Sam Darnold a better offensive line and upgrade his receivers, but go ahead and take a look at the available receivers on the market; Golden Tate, Devin Funchess, Tyrell Williams, Jamison Crowder, Adam Humphries are at the top of the list and guess what? Le’Veon Bell is not only the best running back available but you can easily make a case that he is also the best receiver on the market as well. Go ahead and sign Crowder and/or Humphries, they are both quality receivers that would make the Jets better, adding Bell along with them is not only easily affordable and won’t prevent the Jets from signing other players, but would give the Jets offense the playmaker/difference maker that opposing defenses would have to focus their attention on and would automatically improve the entire roster. Bell would make Darnold’s job easier, make the offensive line look better, draw more attention freeing up space for receivers and improve the offense as a whole. This would result in longer drives, at least fewer three-and-outs, and give the Jets the ability to successfully eat up clock when needed and give the defense a much needed rest immediately improving the defense as well. It’s crazy that a team in such desperate need of talent, with more money than they can possibly spend, should approach free agency by looking in the discount bin. 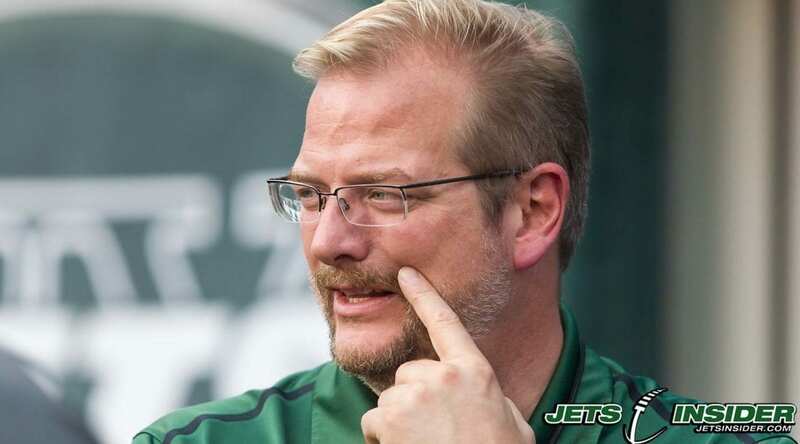 Of course you want to build your team through the draft, but the Jets have done a miserable job at drafting so unless your plan is to tank for another couple of years and magically start drafting much better you’re going to have to spend big money in free agency to make up for all the past draft picks that now are gearing up for their AAF debut. The Jets could severely overpay Bell $20 million per year and still sign a couple of offensive lineman, receivers, a pass rusher or two and sign quality depth to fill out the roster with plenty of room to easily stay under the salary cap. But what about future years, you ask? Well, the Jets only have 11 players currently on the roster scheduled to make over a million dollars in 2020 and at least four of those players aren’t likely to actually be on the roster by then. Brian Winters is scheduled to make $7.5 million in 2020, but can be cut with no dead money. The same goes for Spencer Long and his $6.75 million. Isaiah Crowell is scheduled to make $5 million, but the Jets can save $4 million by cutting him before the 2020 season starts and Mike Pennel is set to make $4,333,334 but can be released with only $833,334 in dead money saving the Jets $3.5 million against the cap. Then there’s Avery Williamson who has a cap number of $8.5 in 2020 but if he struggles to adapt to Gregg Williams defense the Jets can save $6.5 million against the cap by cutting him. In 2021 there are only five players on the roster making over a million and only another five total players signed at all. Trumaine Johnson is set to make $17 million (Jets could save $9 million against the cap by cutting him but would have to eat $8 million), Sam Darnold at $9,624,266, Quincy Enunwa at $9.6 with only $3.6 million in dead money which could free up $6 million, Spencer Long again currently scheduled to make $7,150,000 but again he’s unlikely to make it this far, and Nathan Shepard at $1,180,930. The other five players set to make under a million are Chris Herndon, Parry Nickerson, Folorunso Fatukasi, Trenton Cannon and Tevaughn Campbell, only Herndon seems like a lock to be here in 2021 and that will only cost the Jets $927,842. Then there’s 2022 where the Jets currently have a whooping two players under contract and neither of them are likely to be here by then, or at least not without reworking their contract. Trumaine Johnson is set to have a cap hit on $18.5 million ($4 million in dead money, $14.5 million in cap savings) and Enunwa with an $11.4 million cap hit ($1.8 in dead money and $9.6 in cap savings). Earlier today Manish Mehta of the NY Daily News reported that the Jets “won’t break the bank for Le’Veon Bell,” which of course they won’t have to “break the bank ” because they have $93 million in cap space this year and far more than that in the year’s to come with very few players currently on the roster that will be deserving of a huge raise in the next three years. The Jets would struggle to reach the cap even if they way overpaid 10 different players each of the next three offseasons. Sign Bell, give him his $13-14 million per on a three-year deal and have more than enough money to continue adding all the quality players you want. The cap number will continue to go up every year, Darnold still has another four years left on his rookie deal and they can comfortably extend Jamal Adams when the time comes with space to spare. Fans always greatly overvalue the free agency market, rarely do actual difference makers hit the open market but when they do teams with a need for difference makers that also have the available money to afford said difference makers would be wise to seize the opportunity. Bell turns 27 in February, a three-year deal (or even a five-year deal that’s actually a three-year deal in terms of guaranteed money would let the Jets move on before he hits the dreaded 30-years-old mark. Signing Bell isn’t the only acceptable route for the Jets to take, signing Tevin Coleman would be an excellent decision if Bell signs elsewhere and even Mark Ingram would be an improvement on what the Jets currently have, but neither of them are game-changers like Bell. Sure, you can try and hit on a draft pick, this year’s running back class is really good, but the Jets don’t have a second round pick so you’d be gambling to see who is still left in the third and what’s the likelihood that they’d be as good as Bell? Now what’s the likelihood of using both those third round picks to draft offensive linemen that are as good as any that will hit the open market in free agency? And what’s the price difference on that? Because you do realize in order to get any of the free agent linemen the Jets are going to have to overpay for them just as much as Bell, right? If the Jets can’t sign Bell because he wants to go to a better team or a team that plays in a state with no state income tax then cool, start looking at Coleman and the draft. But to not sign Bell because he would cost too much money when the Jets have more money than they can realistically spend is beyond nonsensical. The entire point of saving cap space is to spend on players like Bell if they become available, do you want the talent on the roster to improve, or not? If the answer is no, then go ahead and save all that money but don’t continue to complain that the offense lacks talent because you didn’t want to spend the money on the talent that was available. Forget Laveon Bell the guy is a cancer a distraction that would hurt this young football team. The Jets should pursue Tevin Coleman he has less use is same if not better talent coming out of the backfield. Plus he is cheaper and without the baggage.